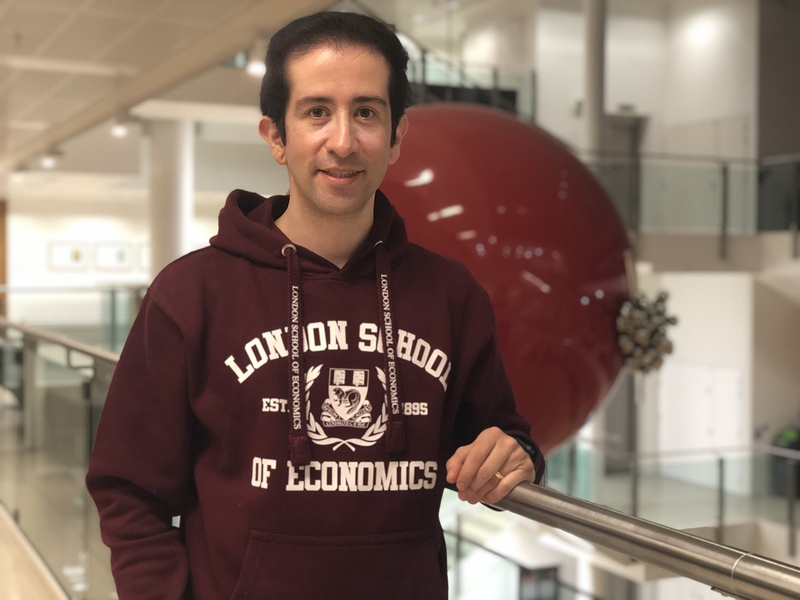 This week, the spotlight is on MSc Development Studies student, Enrique Forero. One of the Department’s Media Student Ambassadors, Salena Wang, spoke to him. I have always been passionate about applied economics, especially in the areas of development, poverty, public policy, trade and innovation. From an early age, I was aware of the socio-economic inequality in Colombia and the gaps in access to public services and industrial development in different regions. I was born in a small town near the capital; however, due to the unstable conditions and violence in the area, my family decided to move to Bogotá to seek better opportunities. Since then, I am determined to contribute to the development of Colombia. I graduated from the National University of Colombia in 2010, majoring in economics. Before joining LSE, I have worked in the public and private sectors of Colombia, including trade, investment, innovation and entrepreneurship. For the past six years, I have been working for ProColombia, the national agency in charge of promoting exports, investment, tourism and country brand. My job is to coordinate sectoral and economic analysis to support the decision-making of foreign companies to invest in Colombia and national companies to export. I also support the entity’s strategic plan in export and investment, and I am responsible for the transfer of knowledge in cross-cutting areas to promote the sector’s operations in exports, investment and tourism. I have led different projects to contribute to the economic performance of Colombia. In 2016, I developed a new methodology to identify business opportunities in exports and investment to minimise the risks of small and medium-sized firms; this tool is used in 26 departments of Colombia. The Ministry of Trade also applied it to define policy actions on productive transformation. My recent role as an industry leader involves guiding individuals and institutions in supporting the internationalisation process and knowledge transfer. I led the first national outsourcing research service industry and interacted with all stakeholders, sector associations, regional entities and entrepreneurs. The study was presented nationwide and was used to define work plans and strategies to attract investment and promoting Colombia’s export. Previously, I also worked at the National Department of Planning (DNP) and advised the Business Development Division of this institution on innovation topics and supported the management of DNP in cooperation agreements with Colciencias. Studying at LSE has been one of the best experiences for me. It is the first time I am exposed to such a diverse international environment. As a Chevening scholar, I have networked with professionals from all around the world. After graduation, I will take advantage of my international academic experience in the UK and return to Colombia as a development expert and continue to contribute to the development of my country. I am committed to presenting international development strategies for Colombia. I would also like to teach development courses to university students and emphasise the importance of development issues. I believe that my experience in the UK has enabled me to become even more proactive in Colombia and will provide many opportunities to work on the priorities that Colombia and Latin American countries need.